Inspection, the key to quality products, has been a priority at GPMI and in this area we are 5 CMM’s strong. 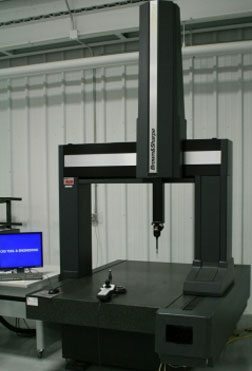 These CMM’s with scanning probe system and reverse engineering capabilities will perform accurate inspections with inspector’s expertise. 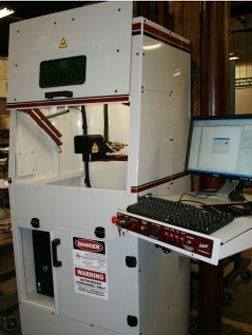 CMM’s are located throughout the facility so operators can obtain that critical 1st piece inspection on the floor or final inspection in the temperature controlled inspection department. The units are equipped with CAD integrated Open-DMIS software for measuring and evaluating geometry and free-form elements. 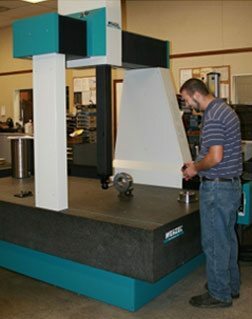 Inspectors, supervisors and programmers receive extensive training regularly so each department has full knowledge of the inspection process and what the CMM’s are capable of. Here is the Wenzel Xtreme LH 10.7, which was recently added to the inspection department. We have recently added a Laser Etcher to our list of machines. This marking system will achieve a clear, concise and permanent mark. With Windows based software, this etcher allows for endless marking capabilities such as: text, graphics, barcodes, data matrix and logos. We can now customize your products allowing for less chance of error.